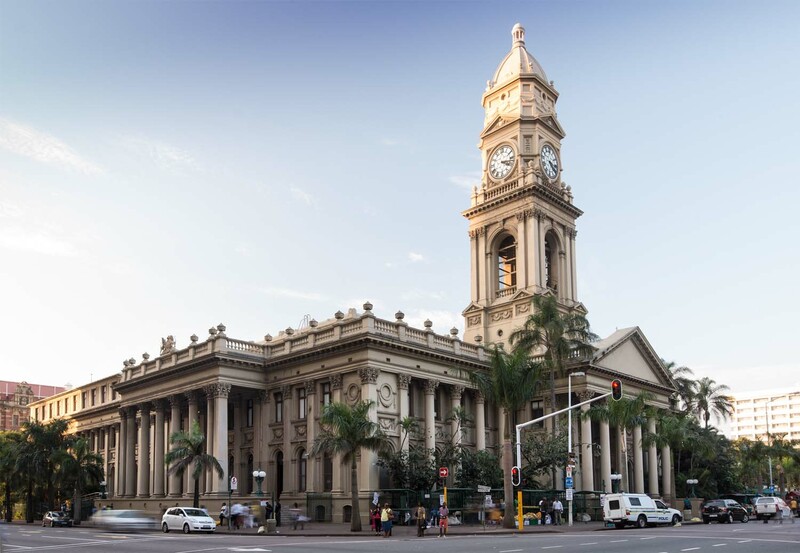 Dr Pixley Kaseme Sts, Philip Dudgeon, 1881-85. 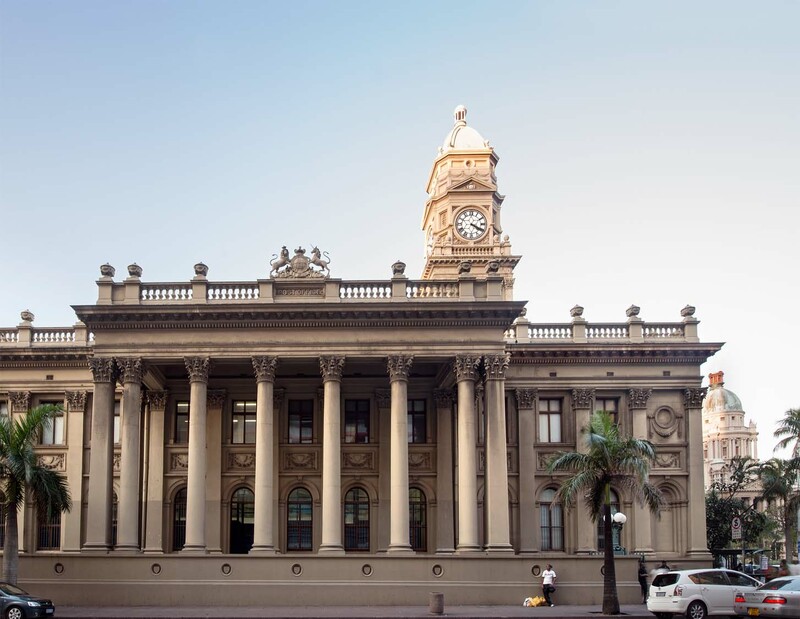 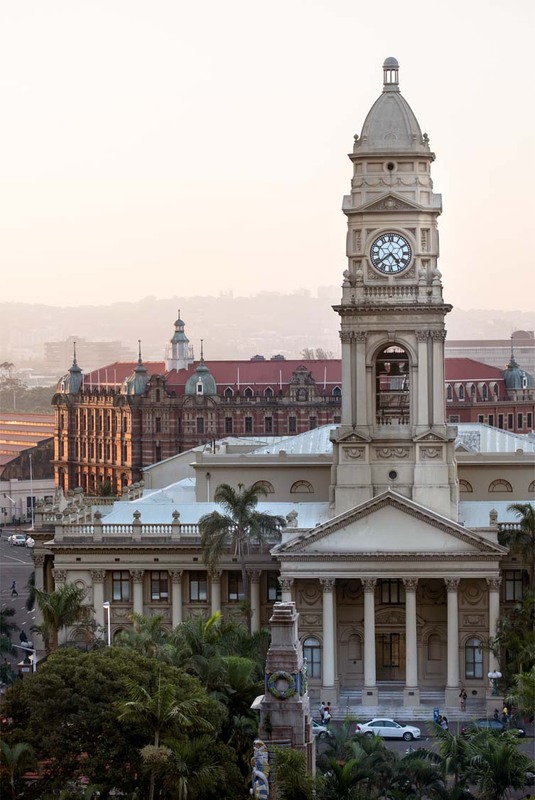 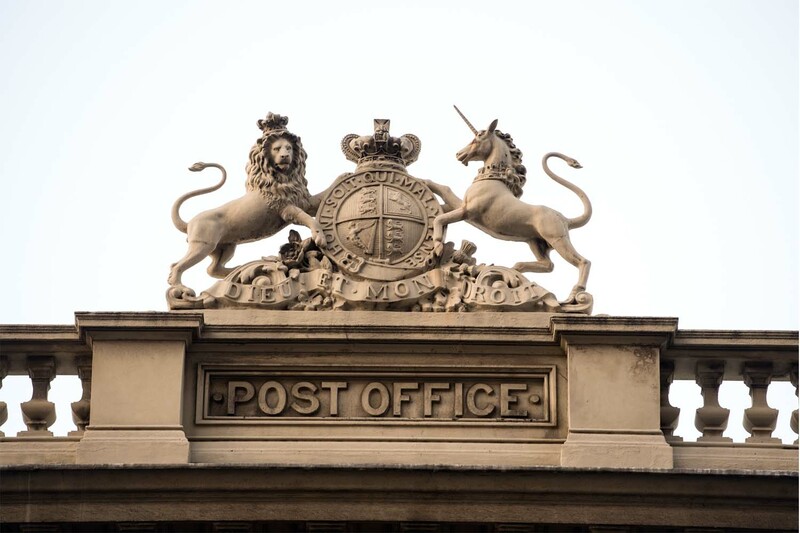 Considered the best example of Classical Revival in South Africa, Durban’s main post office, the building which originally accommodated the town hall, post office and municipal offices, defines the northern side of Francis Farewell Square. 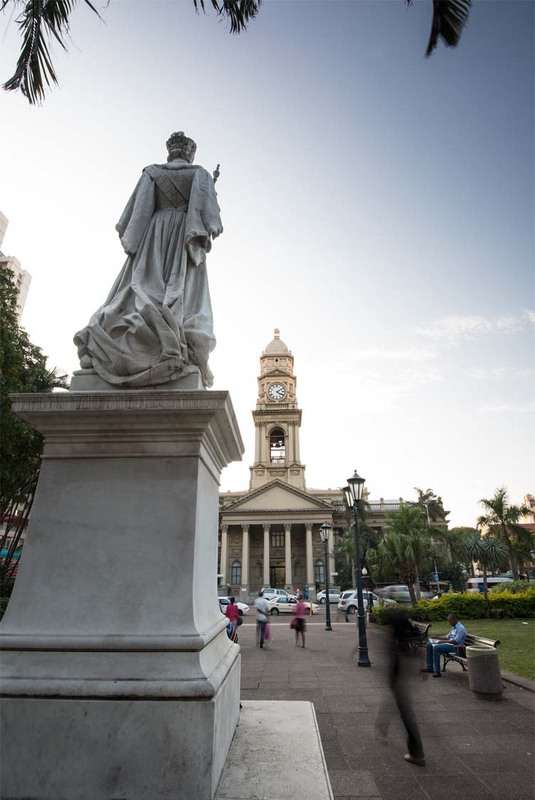 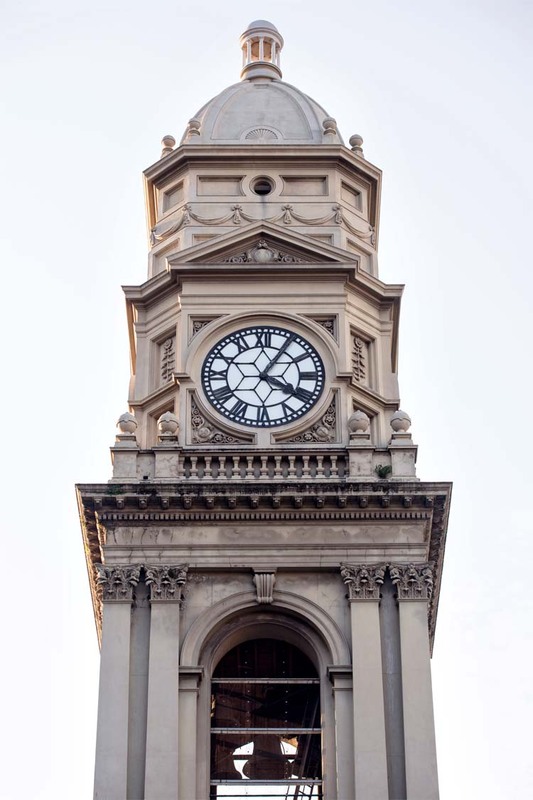 A cupola sits atop the clock and bell tower, the historically distinguishing features of a town hall, while the British coat of arms is inscribed on the attic balustrade of the colonnade facing Dorothy Nyembe (Gardiner) Street, the original entrance to the post office.